Giotto Bizzarrini was(is) an Italian Engineer who has done work with a number of Italian car manufacturers; Ferrari (where he was chief engineer responsible for the GTO - and here I don't mean the Pontiac), Iso Rivolta, Alfa Romeo and Lamborghini (he designed the V12 still in use today). Clearly talented but apparently unable to get along with anyone, he decided to start his own company. 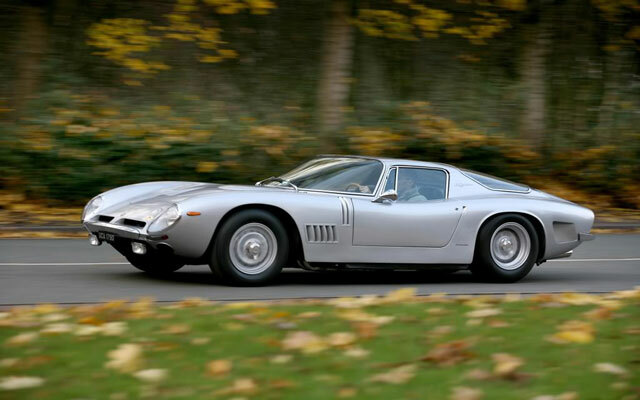 Naturally he named it Bizzarrini SPA and he set about building and selling the 5300gt a design originally done for Iso. The 5300 used a Chevy Corvette drive train and despite it's good looks and reliable powertrain, Bizzarrini only made like 140 of these. Apparently, the engine is set so far back in the chassis that partial dash removal is required to adjust the timing - he should have gone with a Ford 351 Cleveland, then the distributor would have been on the front. Anyway a very cool car.